What types of volunteer opportunities do you have? The majority of volunteer opportunities at Windrush Farm involve helping our clients in their therapeutic classes, as a sidewalker or horse handler. 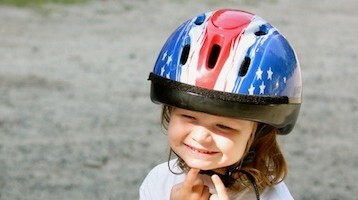 There are also opportunities to assist clients in the barn as part of our Barn Buddy program. We also have some grounds and office projects that need volunteers. In addition, during our summer programs, we look for volunteers who can commit for five days Monday-Friday in July or August. Do you have a minimum age requirement to be a volunteer? Volunteers need to be at least 14 years old to help in our therapeutic classes. What does a sidewalker do? A sidewalker walks alongside the horse while the client is riding. When necessary the sidewalker holds the client to give him/her additional support. The sidewalker helps the rider follow directions from the instructor during the class. What does a horse handler do? reporting any concerns about the horse to the barn manager and instructor. Does Windrush have any special requirements for volunteers? In most of our therapeutic classes, there is some trotting involved. A volunteer should be able to comfortably run beside the horse/pony for short distances. 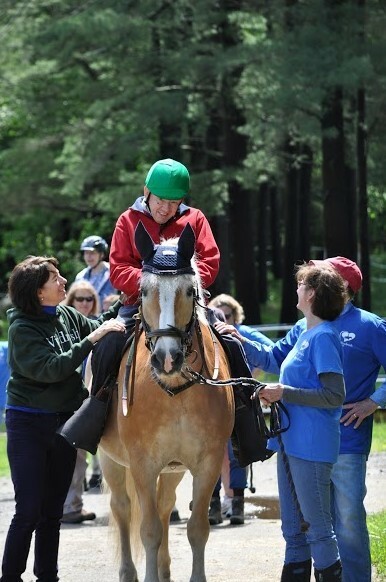 Do you need to have horse experience or experience working with people with disabilities? No, you do not need any prior experience to volunteer with us. We train all our volunteers, regardless of their experience, to help in our therapeutic classes. We try our best to place you in a position that combines your interests and strengths. Do you run background checks on your volunteers? Yes, we are required by Massachusetts state law to run a CORI (Criminal Offender Record Information) background check on all volunteers and staff. Our complete CORI policy is on our website. New volunteers will need to complete our volunteer application forms that include an Emergency Medical Release form and CORI background check. We will provide all the forms to you. Do I need to attend the orientation and training? I have a lot of horse experience. Yes, all new volunteers, regardless of background, must attend an orientation and training session that lasts about 2 hours. This gives us an opportunity to present to you Windrush Farm’s methods and practices. For classes running between September and June, we ask volunteers to commit to at least 1.5 hours, once a week, for an entire session (sessions run between 7 and 15 weeks long). Our summer volunteers are asked to commit to one five days of volunteering, Monday – Friday in July or August. What types of opportunities do you have for corporate, community or school groups? Windrush Farm is a 38-acre working farm and maintains many trails outside the property, which means we ALWAYS have day projects for volunteers! We welcome groups to help with grounds and building maintenance projects. Past projects have included: painting, fence mending, shed building, trail and field clearing, building new walkways, gardening, and fall or spring cleanup. Do you have any weekend volunteer opportunities? Typically we do not have programming on the weekends requiring class volunteers. However, we do welcome corporate, school and community groups on weekends for one-time community service volunteering. Can I just volunteer with the horses? We do offer opportunities to work exclusively in the barn. Please contact our volunteer coordinator for more information.